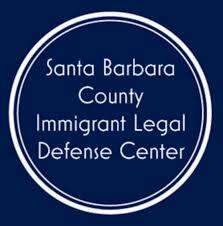 The Santa Barbara County Immigrant Legal Defense Center (ILDC) is pleased to announce that it has received a $50,000 grant from the Fund for Santa Barbara to launch a Bond Project for Santa Barbara County residents. The ILDC is an emerging non-profit organization dedicated to: 1) recruiting and training volunteer attorneys to represent immigrants in removal proceedings and 2) providing community education to help immigrants understand their basic civil rights. On January 25, 2017, the need for the ILDC became apparent as President Trump and the Department of Homeland Security established new enforcement that increased the number of immigrants at risk of being placed in removal proceedings. Growing fear among the immigrant community led the Fund for Santa Barbara to convene the Immigrant Legal Defense Collaborative, a coalition of immigrant-serving organizations in the Central Coast, among them, Immigrant Hope Santa Barbara, Importa, the Central Coast Alliance United for a Sustainable Economy (CAUSE), the Legal Aid Society, Mixteco Indigena Community Organizing Project (MICOP), and Future Leaders of America. Among the primary needs identified by the collaborative was the need for legal representation of immigrants in removal proceedings. According to the Migration Policy Institute, there are more than 100,000 immigrants living in Santa Barbara County. Of those, 43,000 are undocumented and 86% of them have resided in the County for 5+ years. Moreover, nearly 48% of all children in Santa Barbara County live in a household where one or more parents are foreign born. While noncitizens have a right to counsel, they do not have a right to appointed counsel. After being detained, noncitizens are traditionally sent to remote detention centers where access to counsel is zero to none. According to a study by the American Immigration Council (2016), only 14% of detained immigrants secure legal representation. In Santa Barbara County, not a single non-profit organization provides representation to immigrants in removal proceedings. The ILDC will fill this void by recruiting and training volunteer attorneys to represent immigrants who have lived in Santa Barbara County, cannot afford private representation, and are eligible for release on bond. Volunteer attorneys will be matched with a mentoring immigration attorney who will provide guidance on each case to ensure high quality legal representation. “This grant represents a historic event for the Central Coast as it will allow us to provide critical legal representation to an area with not a single non-profit immigration attorney” said Anahi Mendoza, the ILDC’s Executive Director. “Immigrants will now have a safe place to turn to should they be placed in removal proceedings,” said Richard Solomon, the chair of the ILDC’s board, expressing gratitude toward the Fund and pride in this vote of confidence. The ILDC is currently recruiting volunteer attorneys, Spanish language interpreters, and volunteer Licensed Clinical Social Workers (LCSW), psychologists, psychiatrists, etc. to assist with this project. The ILDC is scheduled to open its doors this summer.